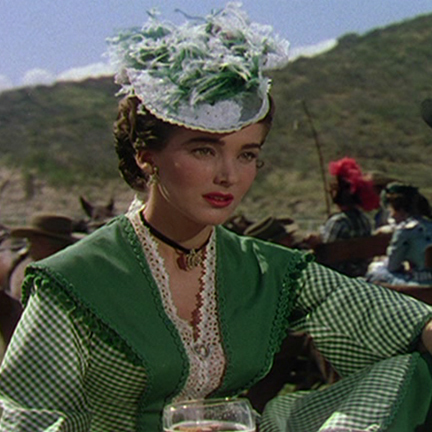 This dress was worn by Julie Adams as “Rosie McCoy” in “The Lawless Breed” (Universal Int’l, 1953). 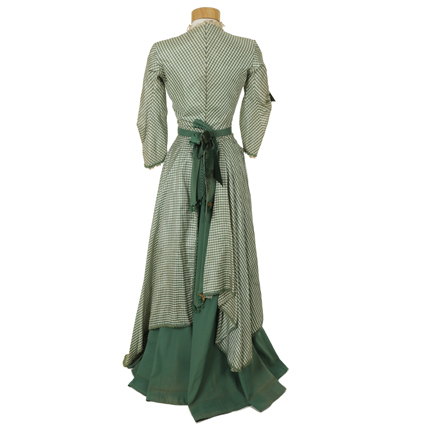 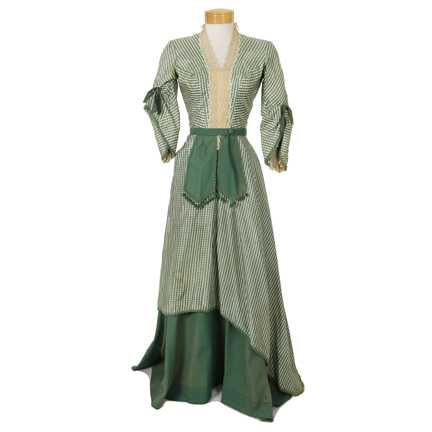 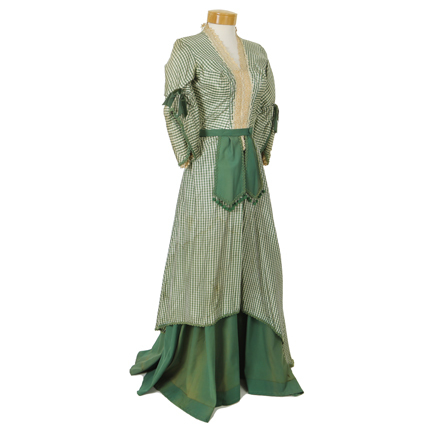 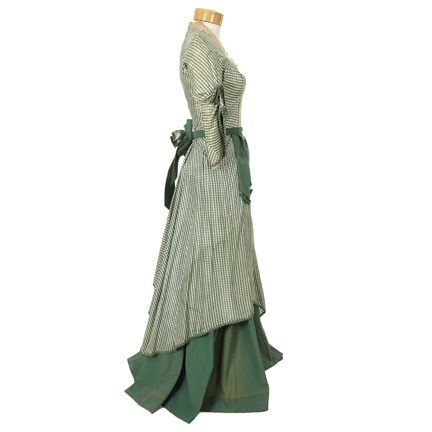 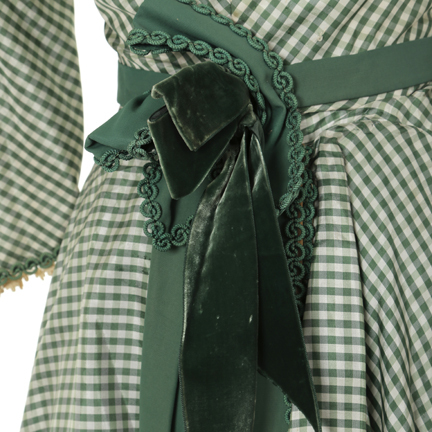 The green and ivory checked period dress has 3/4 length bell sleeves, lace inset bodice, eyelet lace trim cuff , apron, green satin faille underskirt skirt, green panels with ball and tassel trim, hook & eye back closure. 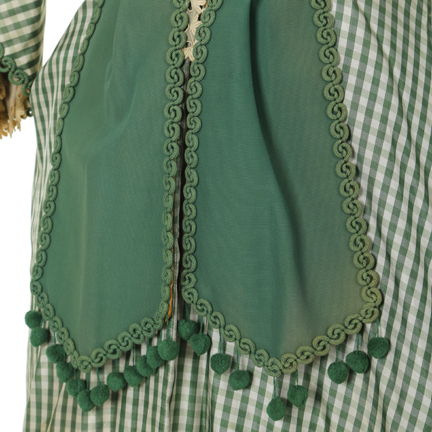 The green check apron and bustle have been removed for use in a subsequent production. 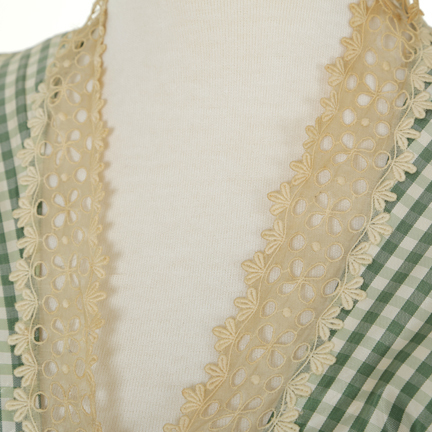 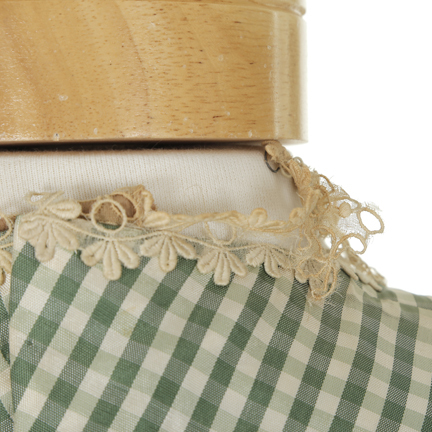 Slight deterioration of the eyelet trim around the collar and one missing button on the green panel. 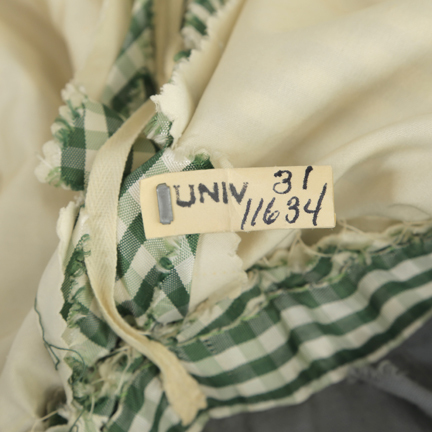 Internal Universal dry cleaning tag stapled to the bias. 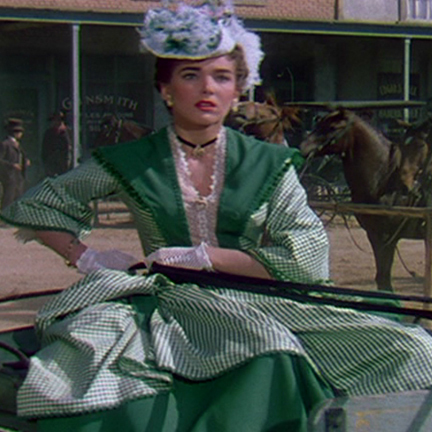 Julie Adams wore the dress at the horse race and while assisting Rock Hudson “John Wesley Hardin” escape after he’s been shot. 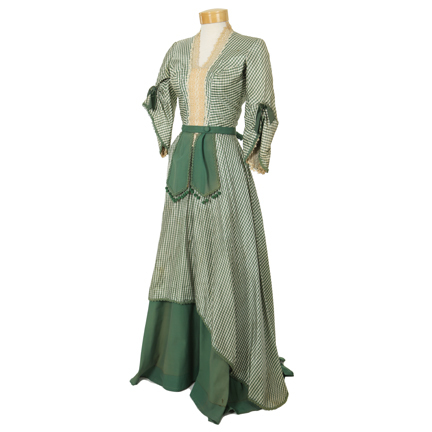 The dress was designed by famous costumer Rosemary O’Dell.